Davenport is located south west of Orlando and offers a more sedate rural option to Orlando visitors whilst still being only around 15 minutes from Walt Disney World in Orlando. Universal Studios are only another 10 - 15 minutes away. 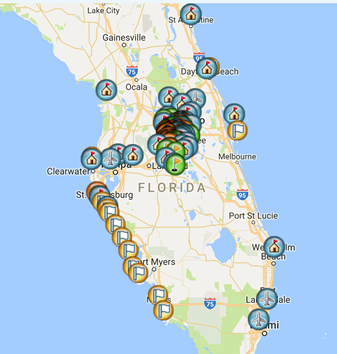 You will find many villas in Davenport along the US27 highway which links with the US192 to the north and I4 to the south making access to all the attractions and both coastal beaches very easy. You will definitely need a car when staying in a villa in Davenport. 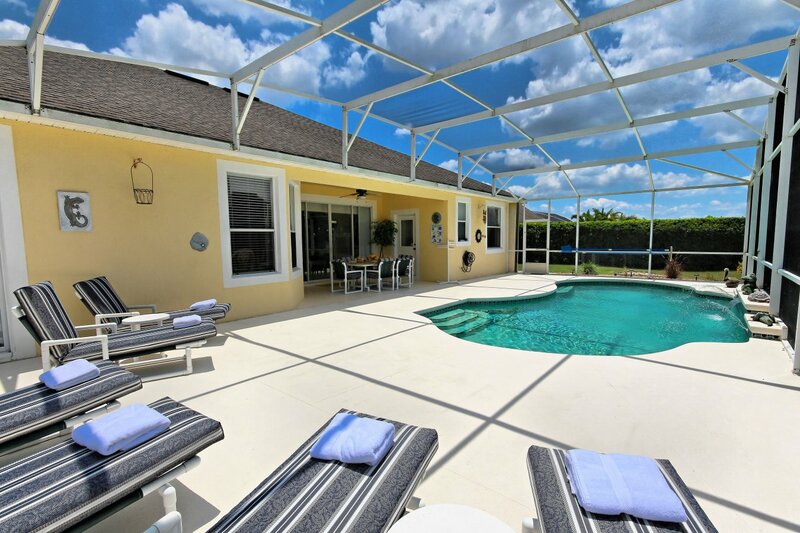 The Davenport area is not built-up like Kissimmee and therefore would suit clients who don't want to be in the thick of it and appreciate the quieter more relaxed villa experience. Here you will find villas on golf courses such as Highlands Reserve or Southern Dunes. Golfing is much cheaper in Florida than in the UK – you can have a round of 18 holes including a golf cart from as little as $25 ! All villas have private pools and are perfect for families and groups making it a much more affordable and comfortable stay compared to staying in cramped hotel rooms. When renting villas in Davenport you get the perfect option for people travelling with young children as you are all together in one villa with multiple bedrooms which makes relaxing in the evening by the pool perfectly safe once the little ones are tucked up in bed. It’s not that easy to do if you are staying in a hotel. Also after a long flight, everyone’s body clock will be out of synch and many will wake up early the next day - not conducive if you are looking forward to a lie-in. At least with a villa everyone has their own bedroom. Who wants to share a pool with a load of strangers ? Well you don't if you rent one of our villas in Davenport as you get your own private pool and many even have a spa as well. What can be better than to relax with your family and friends and soak up that Florida sunshine safe in the knowledge your kids are safe and you are protected from biting insects by the fine mesh pool cage. Did you know that the mesh in the pool cage has roughly a SPF8 so is great if you are fair skinned so you don’t have to worry that you are covered yourself and your kids from head to foot before venturing out into the sun. Many of the villa developments in the Davenport area are close to supermarkets, restaurants and bars so you can easily buy your food & drink locally and also enjoy nights out at the many excellent variety of dining establishments.